Vote for ‘Up the Junction’ to be an honourary No.1! Thanks to Rona for finding this – it’s important you vote, vote, vote! BBC Radio 2 presenters Ken Bruce and Tony Blackburn have today announced a brand new national poll and New Year chart countdown to mark the 60th year of the Official Singles Chart. 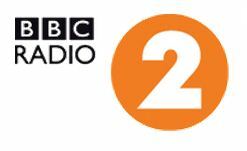 From today, listeners will be able to vote for their all-time favourite Number 2 single via the Radio 2 website – bbc.co.uk/radio2. The results of the poll will form the basis of a special New Year’s Day Radio 2 show, presented by Tony Blackburn, who will count down an Official Top 40 of the nation’s favourite singles which never quite made it to the top of the Official Singles Chart. As a climax to the programme, the nation’s favourite Number 2 single will be bestowed with an honorary Number 1 by the Official Charts Company. A panel consisting of industry experts including Radio 2 presenters Ken Bruce, Tony Blackburn and Janice Long; Official Charts Company managing director Martin Talbot and charts director Omar Maskatiya; Radio 1 presenter Annie Nightingale; BBC Radio 6 Music presenter Steve Lamacq; George Ergatoudis Head of Music, Radio 1 & 1Xtra; and a number of other key industry figures whittled a list of 941 number two tracks down to 107 tracks. The list is made up of every number two record since 1952. Martin Talbot, Official Charts Company, says: “We are delighted to be working with BBC Radio 2 to find the UK’s great ‘lost Number 1’. The list of singles which almost, but never quite, made the Number 1 spot is almost as impressive as those which did. Certainly, the ‘Official Number 2’ singles include some absolute corkers – including Hound Dog, Strawberry Fields, Lola, Masterblaster, Oliver’s Army, Wonderwall, and many others. I certainly know my favourites, but am looking forward to seeing what the great British public verdict is. The poll is supported by the Official Charts Company and OfficialCharts.com. 3 Responses to "Vote for ‘Up the Junction’ to be an honourary No.1!"